Backed by immense experience, we bring forth excellently finished and durable Titanium Shim Foils. We offer these foils in different grades such as grade-5, grade-2 and grade-1 as well as in various other sizes. 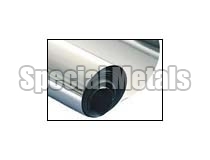 We source these foils only from the reliable manufacturers or vendors after checking against numerous quality parameters. Obtain Titanium Shim Foils in bulk and at very inexpensive rates from us!